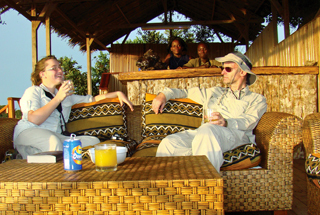 Tassi Savannah Camp* is located on the savannah, surrounded by primary and secondary forest. The wide-open vistas here will give you a much more classical ‘Africa feel’, not easily found elsewhere in densely forested Central Africa. 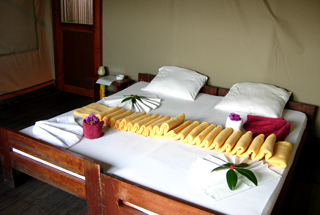 It’s a place where you can catch the ocean breeze and, from the same position, watch the sun rising over the savannah and forest in the east every morning, and sinking below the Atlantic horizon in the west every evening. 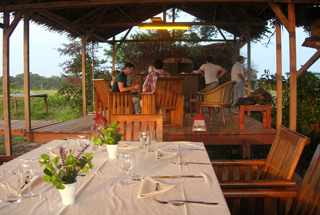 Restaurant and lounge with a superb view of the surroundings. 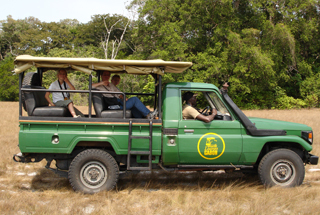 Tassi Savannah Camp is in the process of further refurbishment. The renovation will cover the public area: lounge area and kitchen. 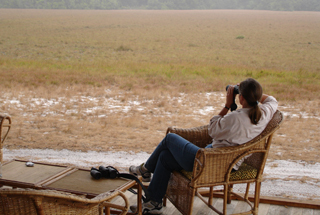 Although the best change of viewing animals at the Tassi area is in the wet season (October – June), to ensure that you have a chance to view the animals during the dry season (June – September), we arrange day trips there. Our apologies for any inconvenience that the upgrade process may cause. 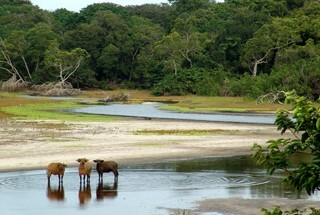 Tassi Savannah Cam is located on the savannah, surrounded by primary and secondary forest. The wide-open vistas here will give you a much more classical ‘Africa feel’, not easily found elsewhere in densely forested Central Africa. 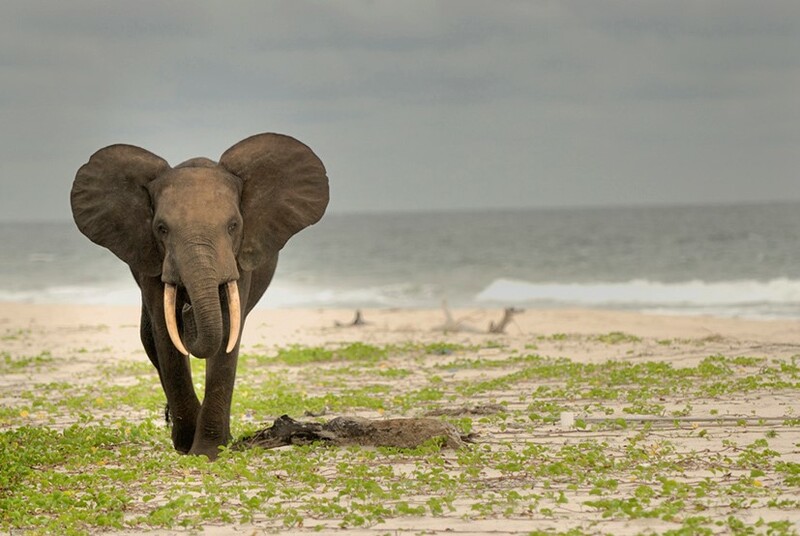 The attractive patchwork of savannah, forest, swamp, and small coastal lagoons in proximity to an endless stretch of beach is perfect for turning adventurous. Discover the camp’s various surroundings on one of our guided walks, cycle on the beach or kayak on Louri Lagoon. 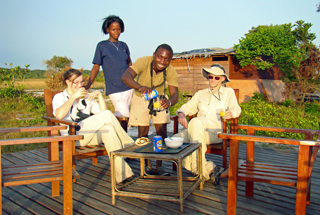 Tassi Savannah Camp is open during the rainy season from October until April.